For 2017,Swiss Bulgari adds a new flavor to its popular Octo watch collection with the new Bulgari Octo Roma. At first glance, you’d be totally forgiven for not knowing that it is new or exactly what is new about it. Despite having a new case and dial, the magic Bulgari wanted to lend to the Octo Roma was that it look as though it was part of the Octo collection all along. Starting in 2012, the Bulgari Octo became a mainstay of the brand’s men’s watch collection, offering a combination of Gerald Genta-designed case and Bulgari dial combined with a rich level of design refinement. The Bulgari Octo Roma is meant to be the comfortable and classy dress watch variant of the Octo, with its narrower-feeling case – even though, like other Octo models, the case is still exactly 41mm wide. In addition to some updated style and wearing options, what the Bulgari Octo Roma Watch really does is narrow the placement of the lugs as part of the modified case. To the eye, the once square case becomes more round, while maintaining the faceted construction style which defines the core Bulgari Octo look. 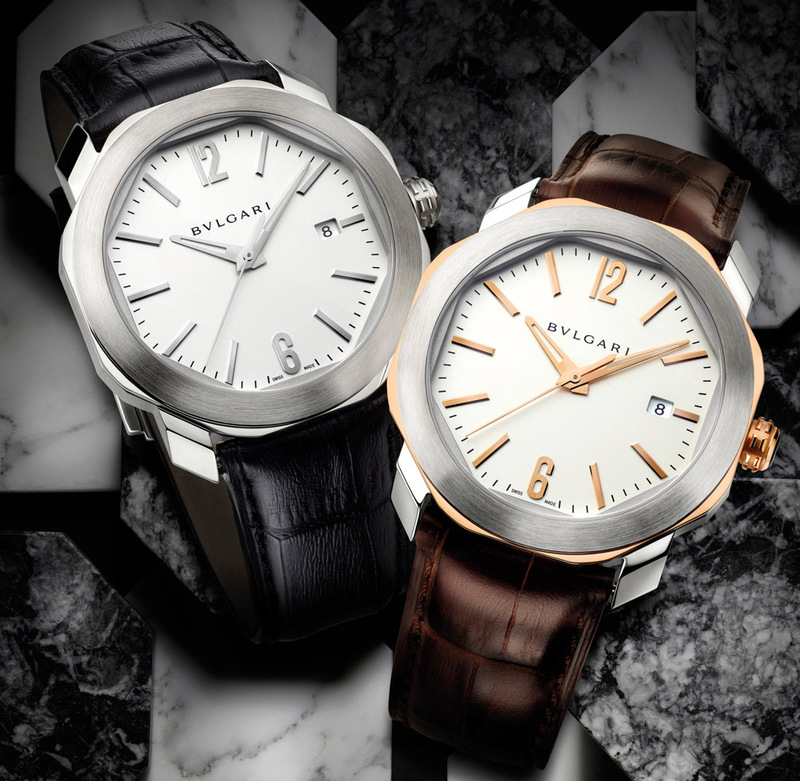 Bulgari also uses the Octo Roma collection to introduce a new brown dial color. 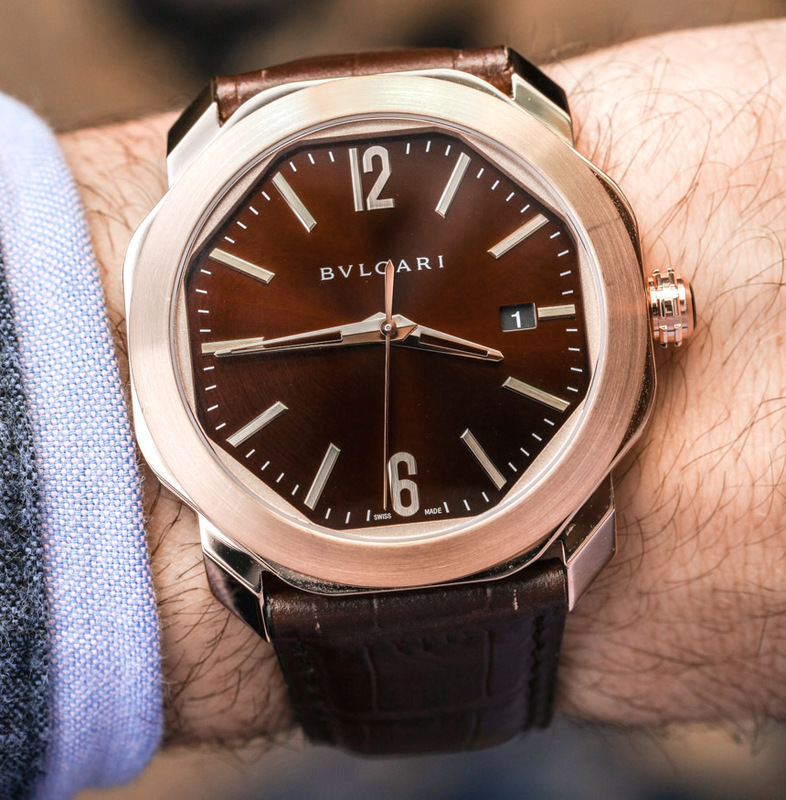 Similar to the blue they offer, the brown dials are produced in-house (see here how Bulgari makes watch dials here) and done using a careful multi-layer lacquer varnish technique similar to how car body panels are painted, but in a more miniature and careful manner. The warm metallic brown dials offered on the Bulgari Octo Roma watches are offered in the steel case, as well as looking very fitting in the 18k pink gold case.